The Stour Valley Path is particularly notable for the beauty of the scenery en route. The landscape on the Essex-Suffolk border was made famous by painters such as John Constable (England’s greatest landscape painter) and Thomas Gainsborough. John Constable was born in Suffolk in 1776. He is particularly renowned for his landscape paintings of Dedham Vale, the area surrounding his home. His most famous paintings include ‘Dedham Vale’ and ‘The Hay Wain’, which are now among the most popular and valuable in British art. Examples of his work can be found hanging in the Victoria and Albert Museum and also the National Gallery London. During the run, you will pass the locations where they painted many of their famous works. The scenery and buildings still look much the same today and should be instantly recognisable. The Dedham Vale has been designated as an Area of Outstanding Natural Beauty (AONB). Thomas Gainsborough was born in Sudbury, Suffolk in 1727. Although portraiture later became the main source of his fame and income, he was also one of the earliest native painters to produce serious landscapes showing English scenery. Many of Gainsborough’s early works were based on the Suffolk countryside through which you will be running. There are many interesting historic sights to see along the length of the Stour Valley Path. The following are a selection of things to look out for during the run. 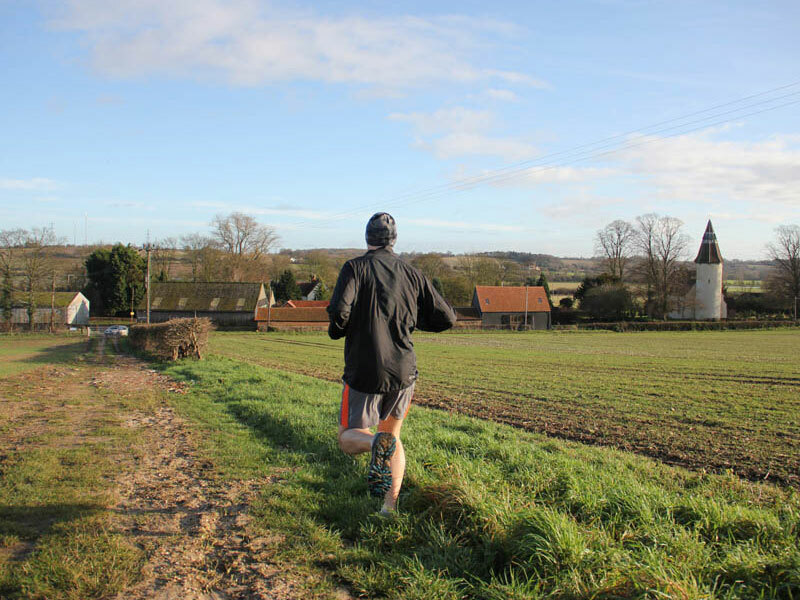 You can also recce some of the final sections of the route by entering the Stour Valley Marathon, which runs through the Dedham Vale. Newmarket is the headquarters of British horseracing, home to the largest cluster of training yards in the country. Newmarket Racecourse itself has two courses, the Rowley Mile Course and the July Course. 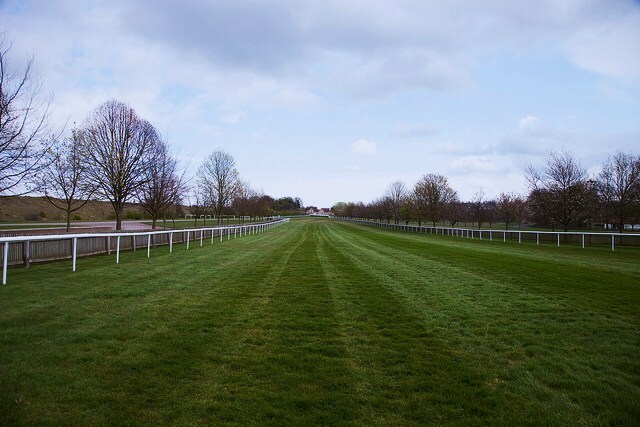 Both are wide, galloping tracks used for Flat racing. One of the largest and best preserved Anglo-Saxon earthworks in England. It is thought to have been built by the East Anglian Saxons in the late 6th or early 7th centuries AD. 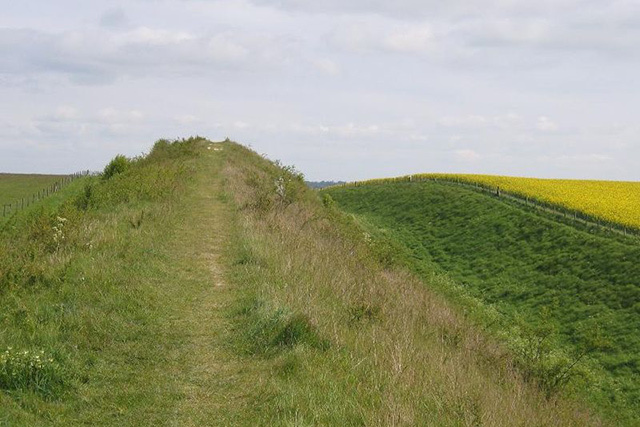 This huge rampart was probably built as a barrier against the Britons in the West, and to control this ancient route into East Anglia. The massive bank and ditch stretch in a near straight line for 12km (7.5 miles). A medieval castle in the small town of Clare in Suffolk. 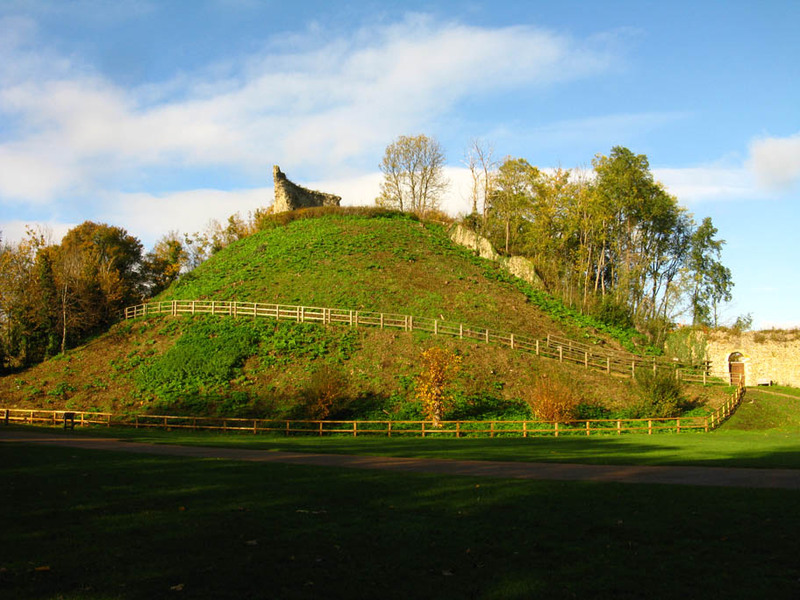 Built shortly after the Norman conquest of England by Richard Fitz Gilbert, the motte and bailey castle was later improved in stone. In the 14th century the castle was the home of Elizabeth de Clare, one of the richest women in England, who maintained a substantial household there. The castle passed into the hands of the Crown, and by the 16th century was in ruins. A stately home in Long Melford, Suffolk. It includes the hall, outbuildings, and a rare breeds farm and gardens. Most of the current building facade dates from the mid 16th century, but the origins of Kentwell are much earlier, with references in the Domesday Book of 1086. 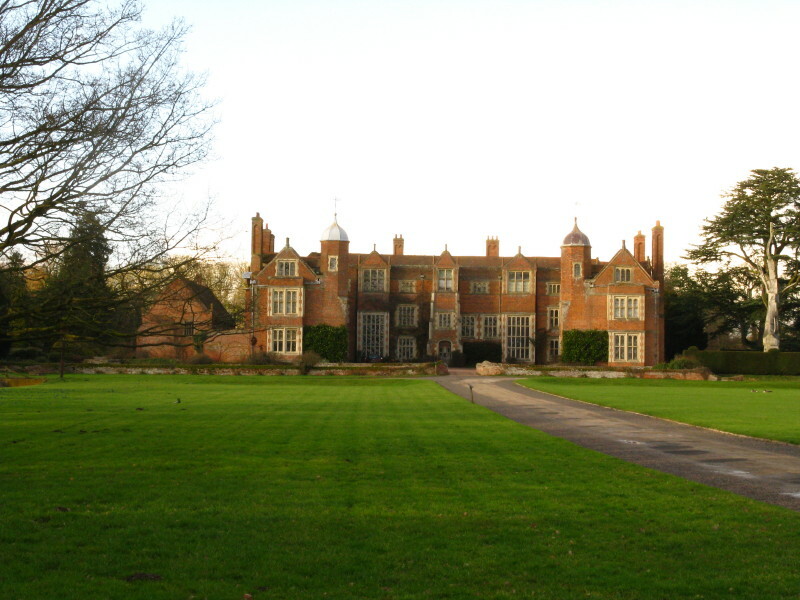 Kentwell has been the background location for numerous film and television productions. The church was constructed between 1467 and 1497 in the late perpendicular Gothic style. 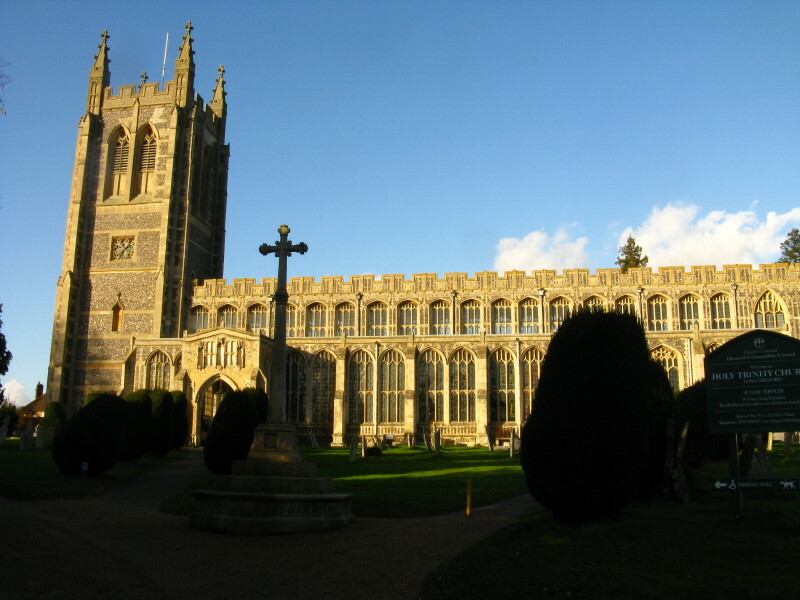 It is a noted example of a Suffolk medieval wool church, founded and financed by wealthy wool merchants in the medieval period as impressive visual statements of their prosperity. The cathedral-like proportions and distinctive style, along with the many original features that survived the religious upheavals of the 16th and 17th centuries, have attracted critical acclaim. Holy Innocents Church is a particularly fine example of a beautiful, ancient building in a tiny parish that has served the community for nearly 900 years. It is amongst the small number of buildings to receive a Grade 1 listing by English Heritage, which means that architecturally, structurally and historically it is of the highest quality. Flatford Mill is a Grade I listed 18th century watermill built in 1733 in Flatford, East Bergholt, Suffolk, England. Attached to the mill is a 17th century miller’s cottage which is also Grade I listed. 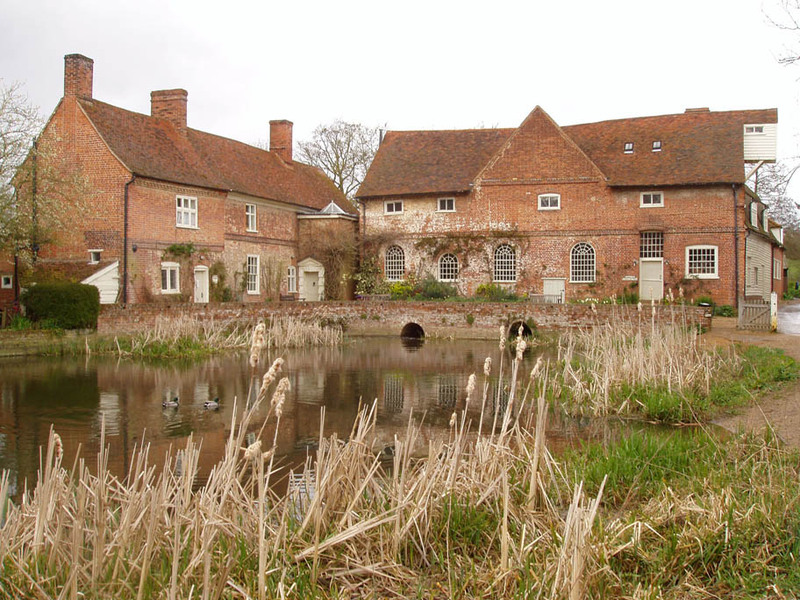 It is noted as the location for works by John Constable, whose father owned the mill. 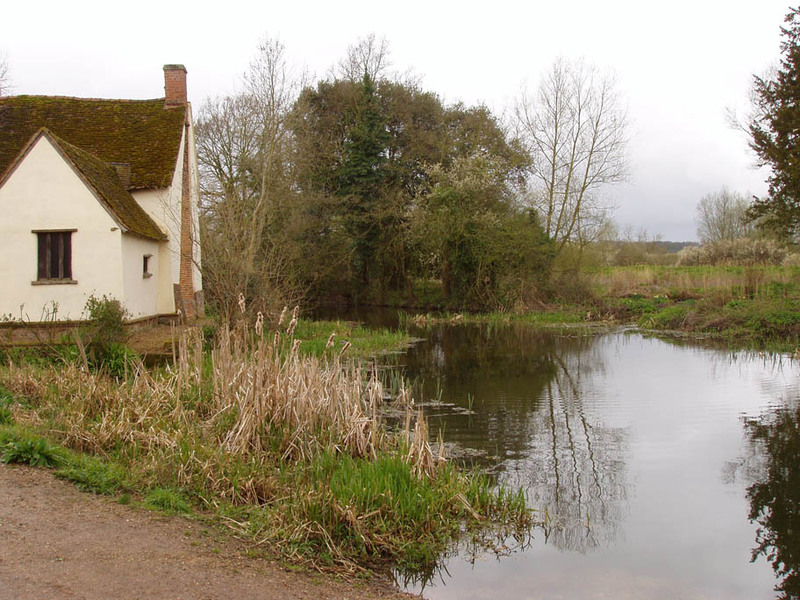 Willy Lott’s Cottage is a 16th-century cottage in Flatford, East Bergholt, Suffolk, England that features in John Constable’s painting, The Hay Wain.